Plastic, plastic, plastic. When will you ever notice that you are not wanted. It is like a virus. You make us sick. You spread like crazy. And everyone thinks only specialists know how to get rid of you. Do you want to be a specialist for a month? 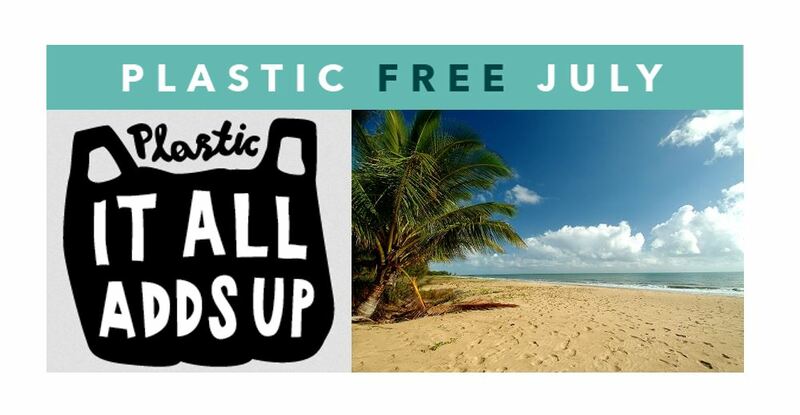 July is the month we are going to go plastic-free! Don’t do it for others but do it for yourself. I am tired of all the plastic ruining my day, so let’s ban it. The Zero-Waste Chef has nine tips for you to do it in an easy way. And does it look difficult because it is everywhere? Wrong! Keep it fresh and you will be surprised how easy it is to at least live 90% plastic-free! And the last 10%? Just make it a goal after seeing how easy it is to go completely plastic-free. Start with the basics: no straws (animals choker), no plastic bags, no plastic cups or utensils. Not that hard right? Than the supermarket challenge: buy no products in plastic. Not that big of a challenge but you have to know where to go. You know after a while, piece of cake. Still thinking it is a struggle? Check out all the tips on the website and see for yourself: plastic-free is no problem for me. Think about all the advantages of these small steps, and do some research if you want to know more about the harm of plastic. It is certainly not a small thing and letting even óne thing go would mean a big change.